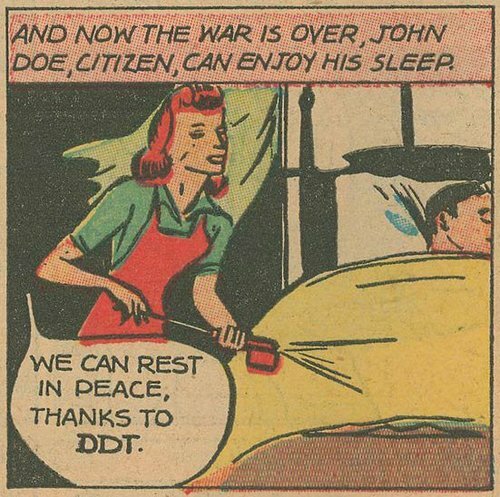 "DDT is good for me-e-e!" Is Human Poliomyelitis Caused By An Exogenous Virus? by Ralph R. Scobey, M.D. The Poison Cause of Poliomyelitis And Obstructions To Its Investigation by Ralph R. Scobey, M.D. Is The Public Health Law Responsible For The Poliomyelitis Mystery? Ralph R. Scobey, M.D. Statement On Clinical Intoxication From DDT And Other New Insecticides by Morton S. Biskind, M.D. 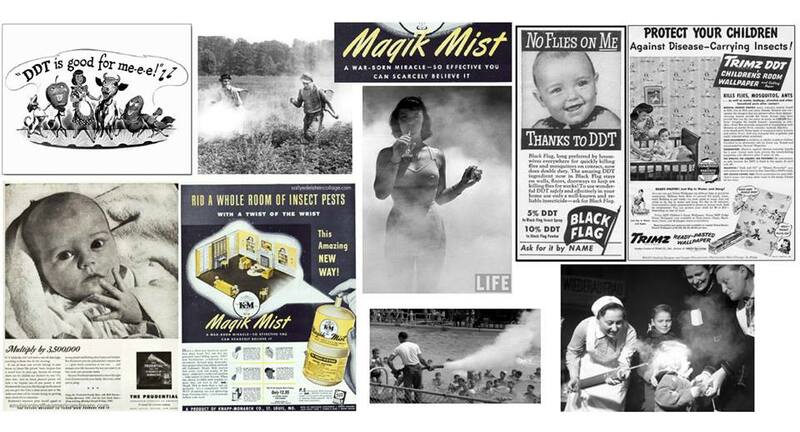 ''Despite the fact that DDT is a highly lethal poison for all species of animals, the myth has become prevalent among the general population that it is safe for man in virtually any quantity. Not only is it used in households with reckless abandon, so that sprays and aerosols are inhaled, the solutions are permitted to contaminate the skin. 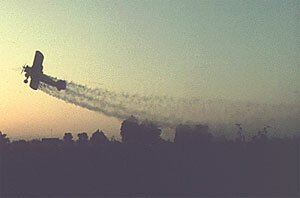 Bedding and other textiles are saturated. Food and food utensils are contaminated. DDT is also widely used in restaurants and food processing establishments and as an insecticide on crops. 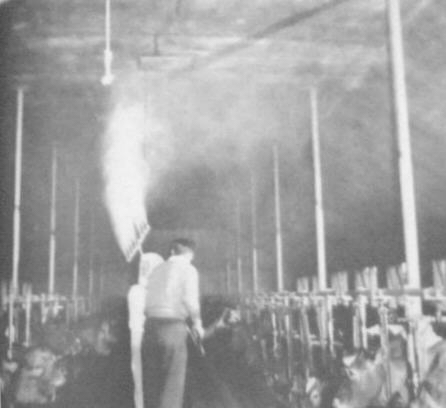 Cattle, sheep and other food animals are extensively dusted with it and large areas are indiscriminately sprayed from airplanes for mosquito control. 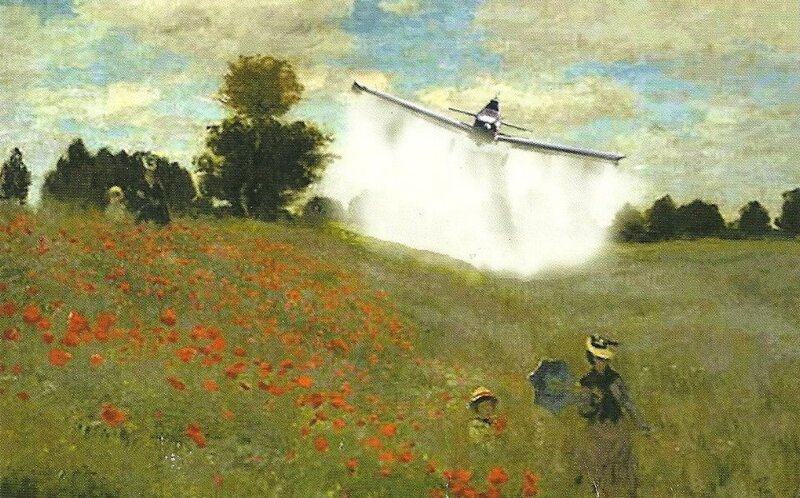 DDT is difficult and usually completely impossible to remove from contaminated foods (it is not affected by cooking) and it accumulates in the fat and appears in the milk of animals who feed on sprayed pasture or on contaminated fodder or who lick the DDT from their hides. The word "virus" is ancient Latin, meaning "slime" or "poison." Mainstream science admits that most viruses are harmless, yet the word "virus " adds to a biased and highly promoted language of fear regarding nature. Definitions of viruses; range from "pathogenic" to "not usually pathogenic" - the more popular the media source, the more frightening the definition. Less fearful definitions would change the relationship between the medical industry and its "patients." 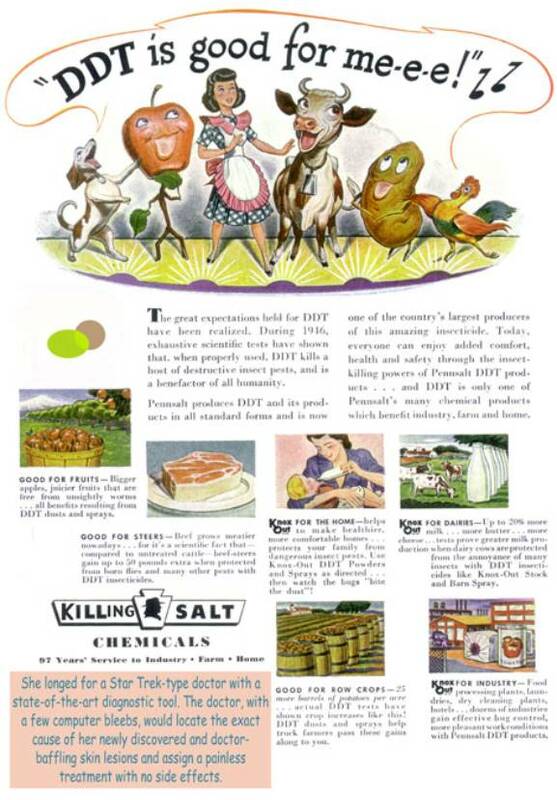 It was even known by 1945 that DDT is stored in the body fat of mammals and appears in the milk. With this foreknowledge the series of catastrophic events that followed the most intensive campaign of mass poisoning in known human history, should not have surprised the experts. Yet, far from admitting a causal relationship so obvious that in any other field of biology it would be instantly accepted, virtually the entire apparatus of communication, lay and scientific alike, has been devoted to denying, concealing, suppressing, distorting and attempts to convert into its opposite, the overwhelming evidence. Libel, slander and economic boycott have not been overlooked in this campaign. 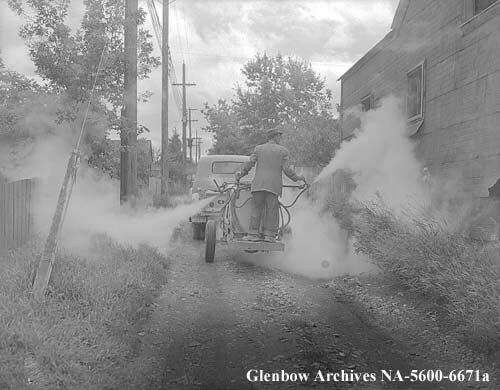 [DDT was actually used to combat polio as the man spraying alleys must be doing.] As to the alleged freedom from toxic reactions in the public health usage, here too evidence gathered by Dr. Robert F. Mobbs of North Carolina, indicates that these reactions occur frequently among affected populations but are not attributed to their actual cause. 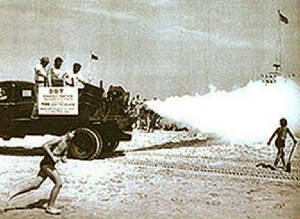 The use of DDT is an effort to stop the spread of poliomyelitis is a case in point. 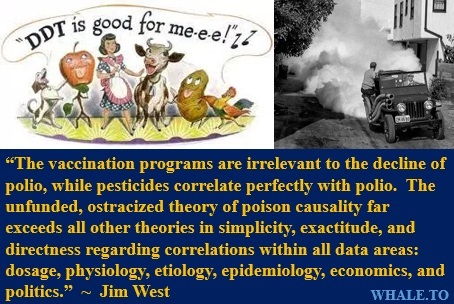 Following a recent extensive trip through the South, Dr. Mobbs informed me that wherever DDT had been used intensively against polio, not only was there an epidemic of the syndrome I have described but the incidence of polio continued to rise and in fact appeared where it had not been before. 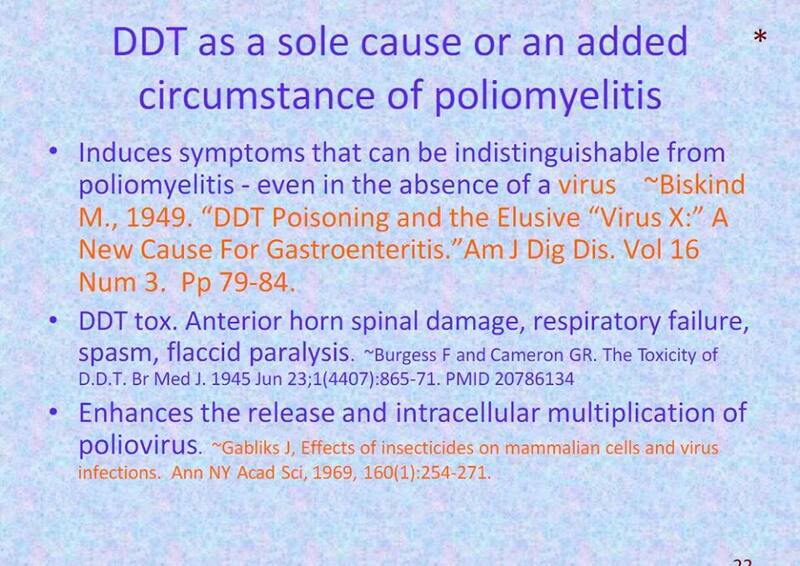 This is not surprising since it is known that not only can DDT poisoning produce a condition that may easily be mistaken for polio in an epidemic but also being a nerve poison itself, may damage cells in the spinal cord and thus increase the susceptibility to the virus. Statement On Clinical Intoxication From DDT And Other New Insecticides by Morton S. Biskind, M.D.